High-Deductible Health Plans: Savings Now, But Problems For Workers Later? Got a high-deductible health plan? The kind that doesn’t pay most medical bills until they exceed several thousand dollars? If so, you or your employees are foot soldiers who have been drafted in the war against high health costs. 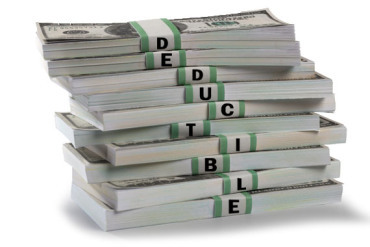 Will high deductible plans backfire? What nobody knows is whether such plans, also sold to individuals and families through the Affordable Care Act’s online exchanges, will backfire. If people choose not to have important preventive care and end up needing an expensive hospital stay years later as a result, everybody is worse off. This article is from kaiserhealthnews.org and published with permission from the Henry J. Kaiser Family Foundation. Kaiser Health News, an editorially independent news service, is a program of the Kaiser Family Foundation, a nonpartisan health care policy research organization unaffiliated with Kaiser Permanente. Jay Hancock is a senior correspondent for Kaiser Health News, an editorially-independent program of the Kaiser Family Foundation. He previously reported for the The Baltimore Sun, The Virginian-Pilot of Norfolk, and the Daily Press of Newport News. Contact him at jhancock@lkff.org.